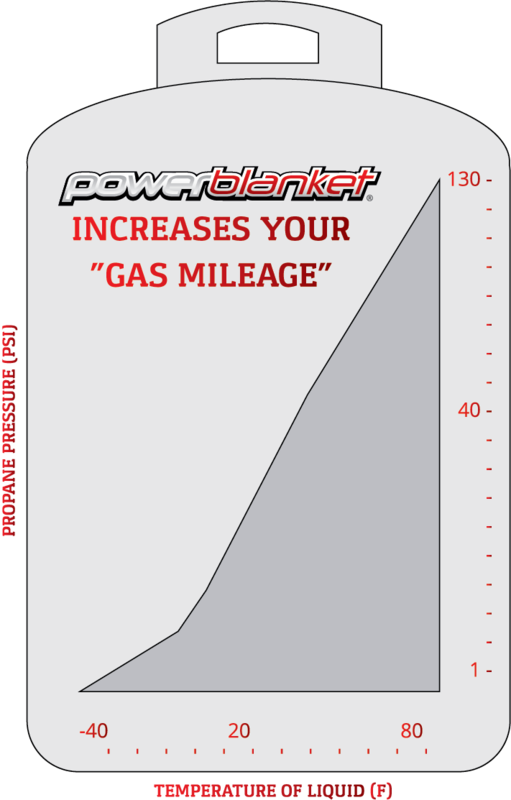 Powerblanket | The Total Temperature Control Blog | How Can I Prevent My Propane Tank from Freezing? Duane, your me buddy is probably shutting off because the carbon monoxide detector is either tripping it or malfunctioning. Return it and get a new one. I had that happen too. My propane tank is connected to a generator and when running it at night in summer of Florida it freezes. More than likely your issue is humidity and flow rate, if you are drawing a high flow rate especially when there’s a lot of humidity in the air and when your tank level drops, you can freeze up. Heating it will help, you do want to check your flow rate and make sure that a blanket would put enough energy into the tank to fight the losses and maintain your flow rate. We can always give you an idea of what would be helpful. You can give me a call if you have any further questions. I HAVE A PROPANE OVEN. THE TANK IS AT 35 AND THE TEMPURATURE HAS BEEN BETWEEN -14 AND 10 THE PAST THREE DAYS. COULD MY TANK BE FROZE? OVEN CLICKS ON BUT THERE IS NO SMELL OF PROPANE. With those temperatures, it would be safe to assume that your tanks have frozen. If they were full, or mostly full, and you don’t have a leak somewhere, then freezing is the culprit.